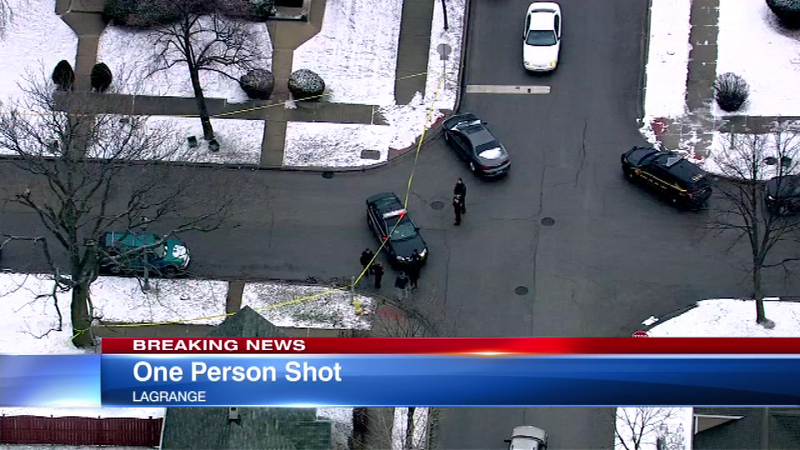 LA GRANGE, Ill. (WLS) -- Authorities said a 22-year-old man was shot outside a home neighbors describe as a 'problem house' in west suburban La Grange. Police received a number of 911 calls reporting a "drive-by" shooting near Calendar and Washington avenues around 2:45 p.m. Monday. Officers arrived to find a group of people standing around the victim, who appeared to have been shot, in the 0-100-block of Washington Avenue. He was taken to Loyola University Medical Center with a lower abdominal injury. Police said he was listed in stable condition after surgery. Neighbors told police they hear three or four shots fired and saw a gray, four-door Dodge heading north on Washington Avenue, away from the scene. No one is in custody. But authorities did say the 22-year-old man appeared to be the intended target of the shooting. Police have not yet released a description of the suspect. They are waiting to talk to the victim. Anyone with information regarding the shooting should contact La Grange investigators at (708) 579-2333.